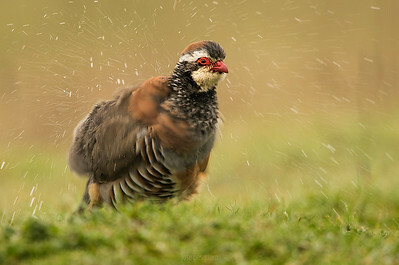 The Red-legged Partridge (Alectoris rufa) is a rotund bird, with a light brown back, grey breast and buff belly. 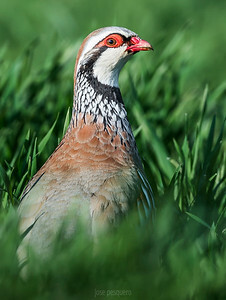 The face is white with a black gorget. 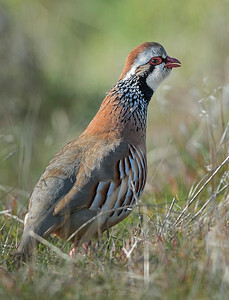 It has rufous-streaked flanks and red legs. 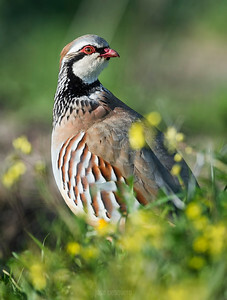 When disturbed, it prefers to run rather than fly, but if necessary it flies a short distance on rounded wings. 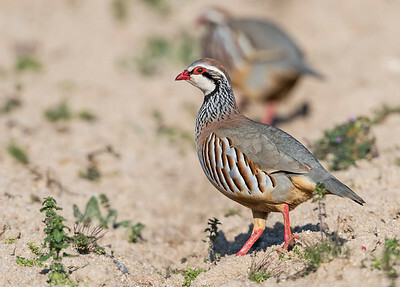 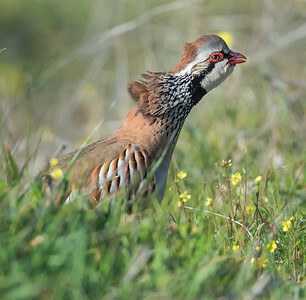 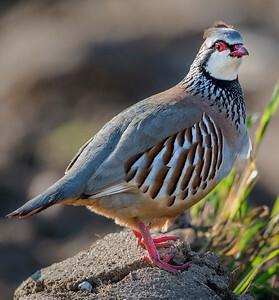 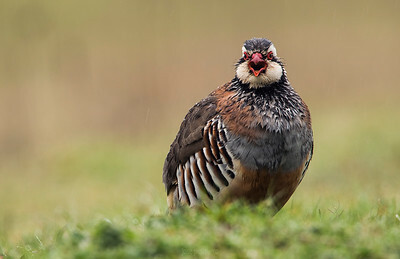 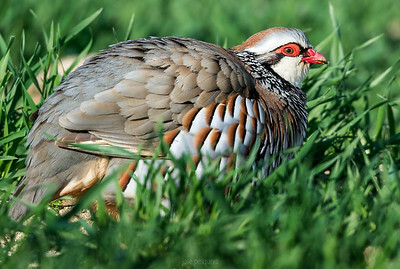 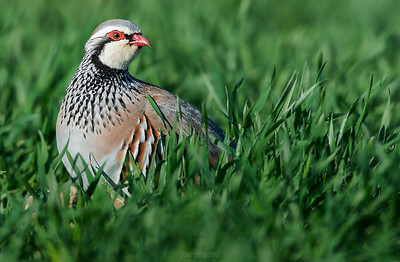 The Red-legged Partridge breeds on dry lowlands, such as farmland and open stony areas, laying its eggs in a ground nest.